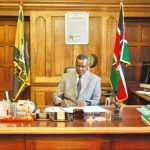 Chief Justice David Maraga launched his Strategic Blueprint on January 25th 2017, titled Sustaining Judiciary Transformation: A New Service Delivery Agenda. The blueprint is centered on six key areas: improving access to justice, handling corruption in and out of the Judiciary, improving ICT, reducing cases backlogs, digitization, and leadership and governance. 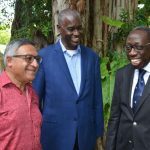 All these aspirations, he said, are based on transforming the Judiciary, a foundation that was laid by immediate former CJ Willy Mutunga through the Judiciary Transformation Framework Popularly known as JTF that was developed under his tenure. 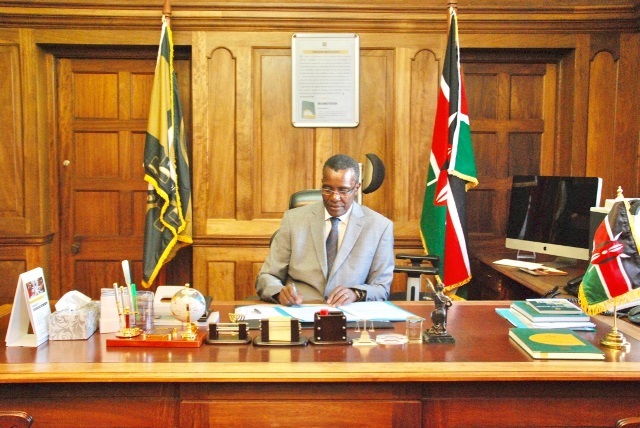 The SJT (Sustaining Judiciary Transformation) focus will be on the demands in the ‘lower end of justice’, investing in the establishment of more magistrate courts, especially in the sub-counties. 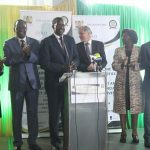 It will also roll out an alternative justice system programmes, expand Alternative Dispute Resolution (ADR) mechanisms, promote and deepen the Court-Annexed Mediation processes as well as operationalize the Small Claims Court and full institutionalize tribunals. This is in line with the JTF that focuses on access to justice through the establishment of more High Court stations and decentralization of the Court of Appeal, among other approaches. Judiciary data shows that case backlog has declined by over 50 per cent in the last five years. The rate of decline, however, has not been proportional to the rate and number of recruitment of Judges and Magistrates. To keep this impressive momentum of clearing backlog, cases that have taken inordinately long periods of time in court will be given priority. It is projected that by December 2018, all cases over five years old, totaling 175, 770, must all be cleared. The Judiciary will strengthen its oversight organs, the Ombudsperson and the Directorate of Risk and Audit, among a host of other interventions aimed at improving on the integrity of the Judiciary. It will also delink Judiciary’s financial accounts from District Treasuries, fast-track Judiciary Service Commission’s disciplinary processes and work more closely with external integrity institutions such as Ethics and Anti-Corruption Commission for better delivery of justice. The restructured office of the Judiciary Ombudsperson will be headed by the Deputy Chief Justice and supported by a fully established Secretariat. Court management systems will be used for everything outside the courtroom that supports the delivery of justice. This includes all the in-court systems that support the determination of cases and include stenography and transcription, legal references and searches, note taking support and document composition, security and distribution. All administrative capabilities including financial, assets, facility, human resource management and the common corporate support systems will be under the resource planning. This will involve digitization, archiving, curation, publication and distribution of extant legal documents. This will support the networks, internet access, security and disaster recovery capabilities. All court stations are expected to have internet and WIFI connectivity by March 2017. SJT will prioritise the protection of the independence of the Judiciary, expansion of the Judiciary Leadership Advisory Council (JLAC), staff welfare, infrastructure, National Council on the Administration of Justice (NCAJ) and Court Users Committees (CUCs), training and traffic. To support devolution, the Judiciary will establish High Courts in the remaining nine counties by December 2018 and set up Magistrate courts in 290 sub-counties in a phased manner. And whereas the SJT provides the broad institution-wide framework for better service delivery, and whose implementation will be overseen by a Committee headed by the Deputy Chief Justice, the next phase of transformation will be undertaken from a bottoms-up perspective. This means that each court station will be required to prepare its own Service Delivery Charter on the basis of which its performance shall be judged. However, the real transformation of the Judiciary will only be achieved if the citizens experience a qualitative difference in the services offered to them. KMJA activities will be on 5th-6th May, 2017. Colloquiums – Magistrates will be in June, 2017, and Judges in July, 2017.